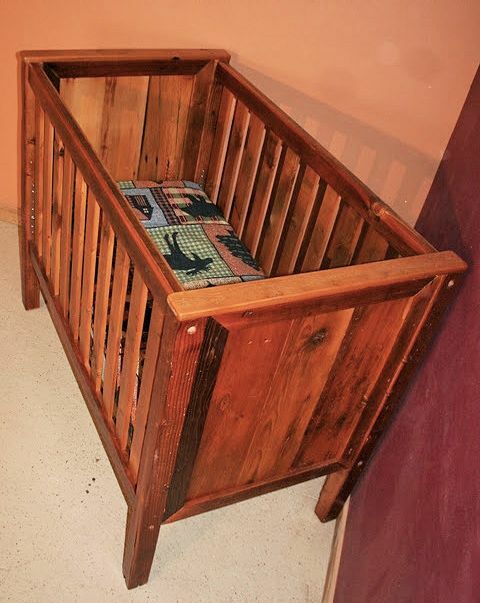 The Barn Wood Baby Crib is made entirely of authentic reclaimed barn wood that is cleaned and buffed to be smooth and beautiful. 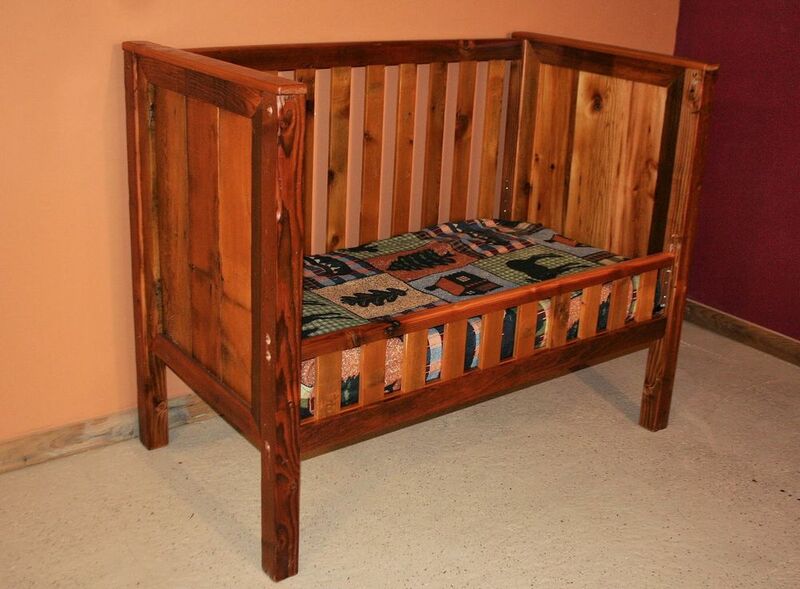 All parts are included to convert the barn wood crib into a barn wood toddler bed, and a barn wood full size bed, so this piece grows with your child. 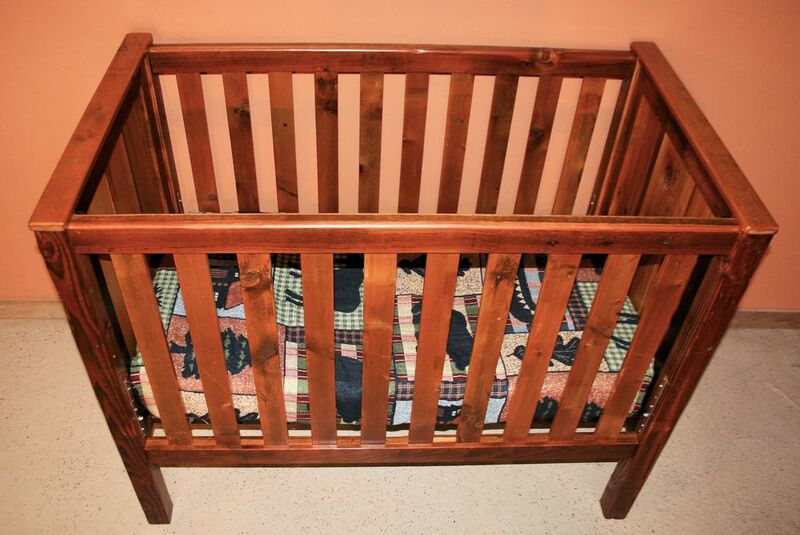 The bottom of the crib where the mattress sits adjusts up and down to make it easier to keep your baby safe as he or she grows. 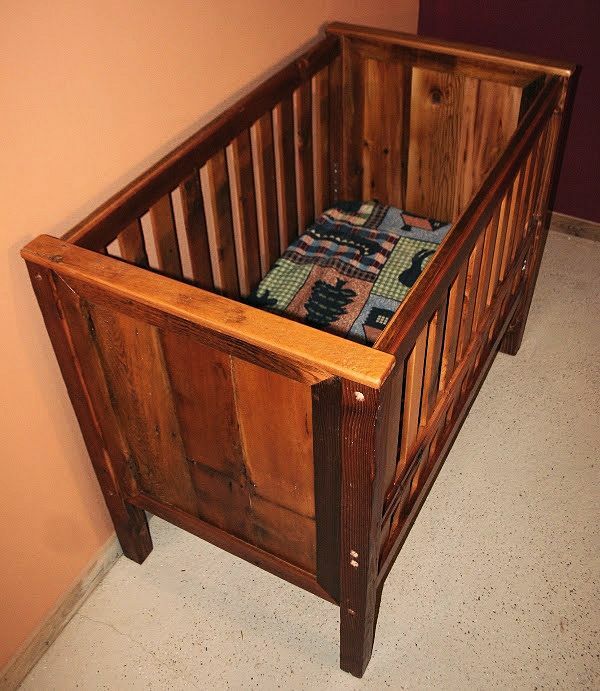 The barn wood crib will easily convert to a toddler bed and a full size bed when the time is appropriate. 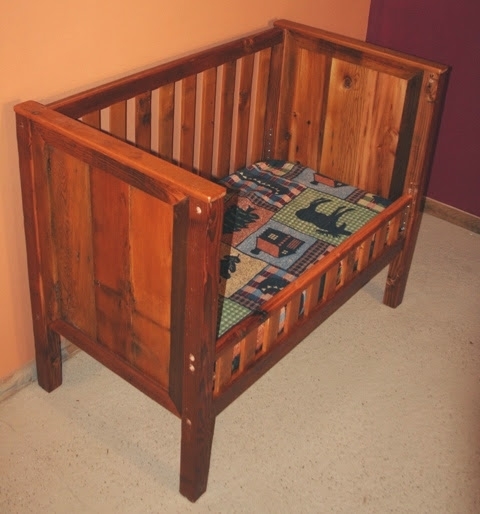 All three pieces will work with the standard crib, toddler bed and full bed size mattresses.